Late last week, just ahead of the Doha meeting, we reported that Iran's existing oil tanker armada, which until recently had been on anchor next to the Iranian coast and which according to Windward data was storing as much as 50 million barrels offshore, had finally started to move. The reason, as Bloomberg reported, was that tankers carrying about 28.8 million barrels of crude, or more than 2 million a day, left the Persian Gulf country’s ports in the first 14 days of April. That compares with a rate of about 1.45 million barrels a day in March. As a result, Iran’s crude shipments have soared by more than 600,000 barrels a day this month, and offset the entire production decline of U.S. producers with just half a month's incremental production. However, now that the shipping armada has sailed to its various (mostly Asian) destinations, it may be difficult to repeat this in the near term. The math: Iran has 55-60 oil tankers in its fleet, a senior Iranian government official told Reuters. He declined to say how many were being used to store unsold cargoes, but industry sources said 25-27 tankers were parked in sea lanes close to terminals including Assaluyeh and Kharg Island for this purpose. Asked how many tankers were not seaworthy and needed to go to dry docks for refits to meet international shipping standards, the senior official said: "Around 20 large tankers ... need to be modernized." A further 11 Iranian tankers from the fleet were carrying oil to Asian buyers on Tuesday, according to Reuters shipping data and a source who tracks tanker movements. That was broadly in line with the number consistently committed to Asian runs since sanctions were lifted in January, putting more strain on the remaining available fleet. So as increasingly more of Iran's tanker fleet is currently utilized or is otherwise out of commission, Iran desperately needs foreign ships to execute its plans for a big export push to Europe and elsewhere and to meet its target of reaching pre-sanctions sales levels this year. There is just one problem: nobody wants to give their spare tanker capacity to Iran. According to Reuters, ship owners, who are not short of business in a booming tanker market, are unwilling to take Iranian cargoes. 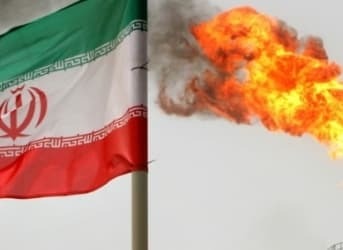 One stumbling block is residual U.S. restrictions on Tehran which are still in place and prohibit any trade in dollars or the involvement of U.S. firms including banks - a major hurdle for the oil and tanker trades, which are priced in dollars. As a result only eight foreign tankers, carrying a total of around 8 million barrels of oil, have shipped Iranian crude to European destinations since sanctions were lifted in January, according to data from the tanker-tracking source and ship brokers. That equates to only around 10 days' worth of sales at the levels of pre-2012, when European buyers were purchasing as much as 800,000 barrels per day (bpd) from the OPEC producer. So far no Iranian tankers have made deliveries to Europe, according to data from the tanker-tracking source. Whether it is due to politics or simple business precautions, Paddy Rodgers, chief executive of leading international oil tanker company Euronav, said at present there was "no great urgency to do business in Iran". "There is not a premium to do business in Iran and there is plenty of other business - the markets are busy, rates are good. So there is no stress on wanting to do it," he told Reuters. "I don't really want to set up a euro bank account in Dubai in order to trade with Iran - that would be crazy." One can almost smell Saudi intervention here, which we first described two weeks ago when we reported that not only has Saudi Arabia banned Iran from sailing in its territorial waters, but it has taken proactive steps to slow Iran’s efforts at increasing oil exports, interfering with third parties and making Iran's procurement of vessels virtually impossible. 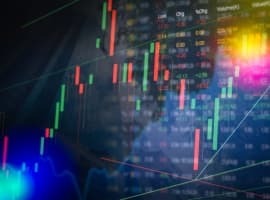 As the abovementioned oil tanker association Intertanko and other industry participants said then, while no formal notice has been given by Saudi Arabia, uncertainty is making some charterers less willing to lift Iranian crude. "It’s seen as an unknown risk,” said one shipbroker. “No one wants to disrupt their relationship with the Saudis." "We are working on the problems. There are various issues involved, financial, banking and even insurance. It has improved a little bit since the lifting of sanctions but we still face serious problems." Asked if this and the need to modernize some of the domestic fleet was holding back exports, he said: "Of course it does." Iran's problems may not be resolved any time soon. Reuters adds that two other sources with other leading oil tanker operators echoed the above concerns and said they were not doing Iran deals at the moment. One of the two sources said with a new U.S. president to take office in January, tanker owners were unsure whether there could be any change to the nuclear deal Washington and other world powers agreed with Iran which led to the end of sanctions. "It does not appeal to them to take on the risk and the uncertainty of the U.S. connection and future U.S. political policy that would come into play," said the source, who declined to be named, citing sensitivity over potential Iranian trade. Angering Uncle Sam aside, the tanker industry has cited other problems posed by Iranian business. 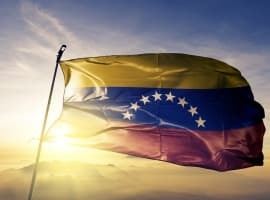 Ship insurers have plugged a shortfall in cover that had been caused by U.S. reinsurers being restrained by Washington's sanctions, although tanker owners say it comes with risks and it could also be withdrawn if, for instance, wider sanctions are reimposed. "Shipping insurance is still a problem. We see many buyers in the market still avoid buying from Iran," Fereidun Fesharaki, founder of energy consultancy FGE, wrote in a note. Finally, Saudi antagonism toward Iran is starting to spread. The kingdom's close ally Bahrain had imposed a comparable ban on any vessels that visited Iran as one of its last three port calls, as the one noted two weeks ago. "Any spread of the Bahrain-style ban on foreign ships that have recently called Iran can only fuel this hesitancy for owners who trade in the Middle East region," said Interatnko's White. 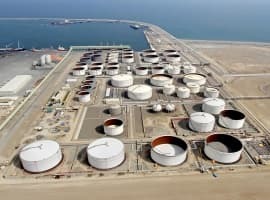 In other words, Iran may be pumping record amounts of oil, and may be eager to flood the world with its newly allowed exports, it just has no way of delivering it... just how Saudi Arabia wants it, whose implicit warning that it may boost production by 1 million barrels overnight may soon be tested. The flipside, of course, is that the longer Iran is unable to recover its pre-sanction level of oil production, and really exports, the longer OPEC will be unable to reach a "freeze deal" due to Saudi insistence that Iran also joins said deal. Which, incidentally, is also just how Saudi Arabia wants it.